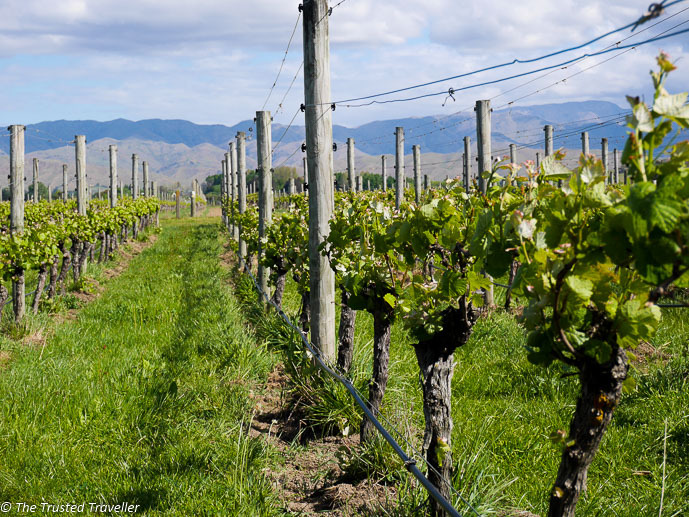 The Marlborough region of New Zealand can be found in the very north of the South Island and makes up roughly 20% of the countries coastline and nearly 80% of the countries wine production. So I bet you can already guess what the main draw cards to the region are. The flat fertile plains near Blenheim are home to world class vineyards, orchids and farmlands providing visitors with an abundance of delicious food and drink to try at cellar doors and in restaurants and cafes across the region. Get back to nature and total seclusion in the Marlborough Sounds where you can walk, ride, paddle or cruise your way through deep waterways full of wildlife and surrounded by steep ridge-ways covered in thick native vegetation that is home to large array of native bird-life. Whatever it is that draws you into this region, you’ll discover its beauty and wonder why more people haven’t been there yet. Tours are a great way to visit a bunch of great vineyards but only if they are small group tours like Bubbly Grape Wine Tours. Bubbly Grape offers full and half day tours of the wineries with groups kept below eight people. The guides know everything there is to know about the region’s best wineries and together with your input, they will piece together a day visiting the wineries that suits you and your tastes. 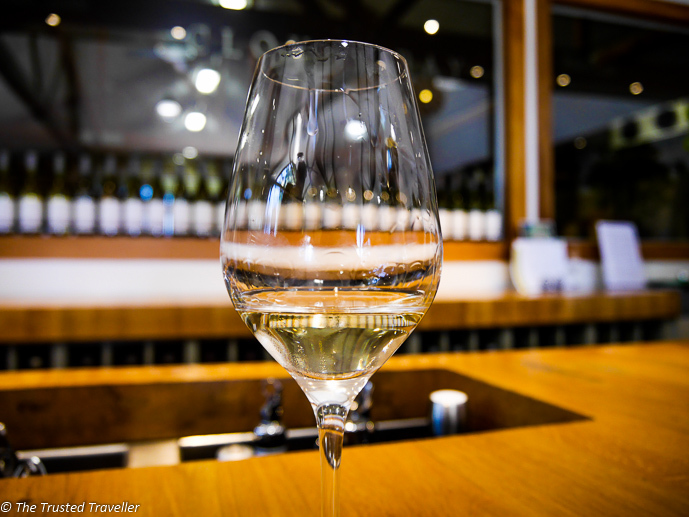 More Information: Read more about my experience touring the Marlborough wineries. Another great option to get around the cellar doors that gives you more freedom is to hire a bike. The land is flat and most of the cellar doors are concentrated in a small area making it super easy to get from place to place on two wheels. And hire is simple, with hire places available across the Blenheim area and information on the best routes to take available at the Blenheim i-SITE. However, if you’re looking for a bit more structure in your day, there are also tours by bike available too. Hours: Half or full day hire and tours available. 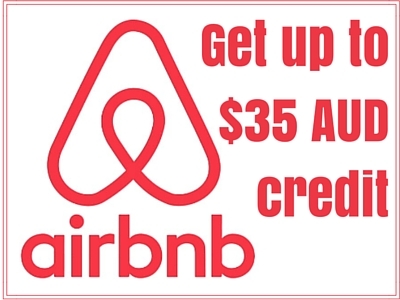 Price: Prices start from $NZ28.00 for bike hire. More Information: Check out this tour offered on GetYourGuide. The area collectively referred to as Marlborough Sounds comprises three main Sounds; Queen Charlotte, Kenepuru and Pelorous Sounds. These Sounds are basically valleys filled with water from the Pacific Ocean that were created by a combination of land subsidence and rising sea levels. Here are a few fun ways to explore the Sounds by water. Those with a decent level of physical fitness and an adventurous spirit will want to hire a kayak and explore some of the secluded and peaceful coves that make up the sound. Because the Sounds are sheltered the water is generally calm making for an easy paddle as you explore bay after bay. Tours from Picton and Havelock are available or you can hire a kayak and explore independently. More Information: Check out the Marlborough Sounds Adventure Company for tours and hire information. 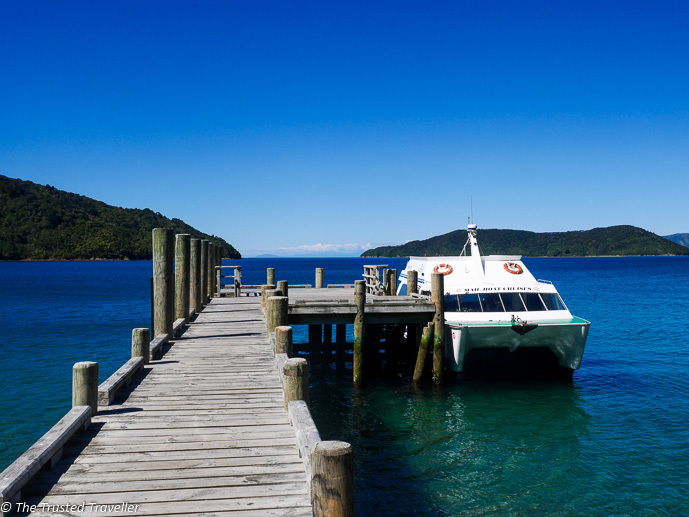 A unique way to see the entire length of the Queen Charlotte Sound is on a Mail Boat Cruise. These cruises spend about four hours out on the water stopping off at remote homes to deliver the mail and supplies. It’s a really great way to see a large part of the Sound while also getting a little insight into the lives of those living in these completely remote areas. 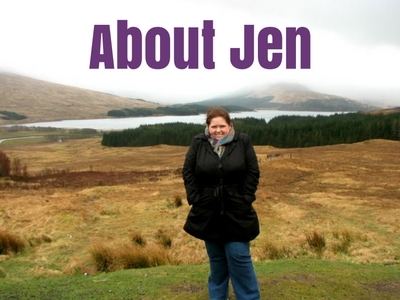 More Information: Read more about my experience on a Mail Boat Cruise. 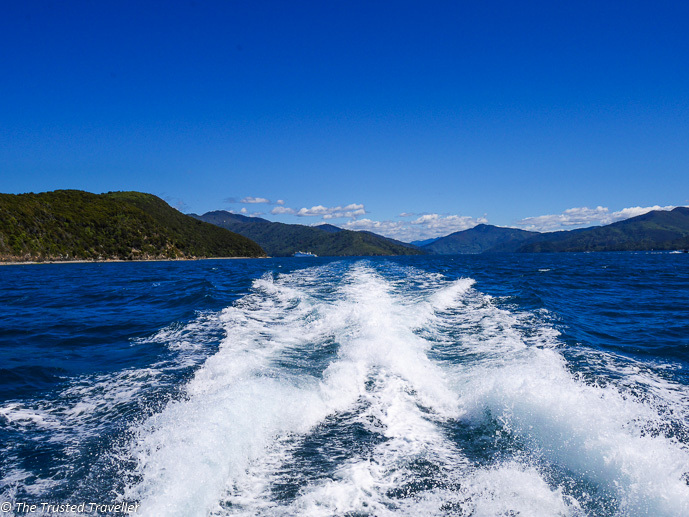 Another great way to explore the Marlborough Sounds by water is on a dolphin and nature cruise. Not only do these cruises take you the entire length of the Queen Charlotte Sound, you also get a unique wildlife experience with each cruise offering a different wildlife focus. Wildlife you can encounter in the Sound includes dolphins, fur seals and seabirds with some cruises allowing you to get in the water with the dolphins. Address: Tours depart from the marina in Picton. Hours: Morning and afternoon tours available. 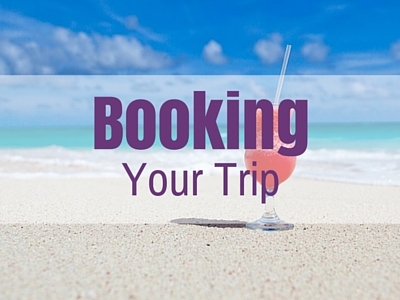 Price: Various prices depending on tour and experience. 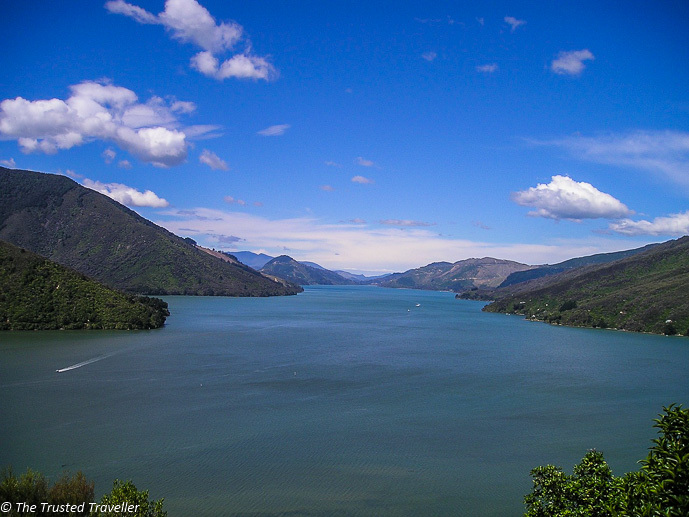 The 70km Queen Charlotte Track runs from Ship Cove to Anakiwa and can be tackled on foot or mountain bike in 3-5 days. The track takes you through the thriving native bush along ridgeways that offer incredible views of the both the Queen Charlotte Sound and Kenepuru Sound. On the way you’ll encounter plenty of native birdlife, plants and lots of other adventurous souls looking to get back to nature. There are plenty of places to spend the night along the way including campgrounds, huts, small isolated homestays, backpackers and resorts. Address: From Picton you can take a boat to Ship Cove and make the walk/ride back to Anakiwa. Alternatively you can start the walk/ride in Anakiwa and take a boat back to Picton from Ship cove. Price: You can purchase a Queen Charlotte Track Land Cooperative (QCTLC) Pass from Picton and Blenheim i-SITEs which allows you to walk on the parts of the track that cover private land. One year pass $NZ25.00, 5 day pass $NZ18.00 or 1 day pass $NZ10.00. What’s top of your list of things to do in Marlborough? Or have you been already, what did you love about it? This certainly is a beautiful part of NZ! One many in an amazing country. Re-reading this and you’ve made me want to explore the region next time we’re back in New Zealand for a visit. It’s so pretty! Touring the vineyards would be something I would love to do in Marlborough! The wine is really delicious! Never would have thought to do a mail boat cruise. What a great idea. We were traveling through North Carolina, USA, which is tobacco central and known as “Marlboro Country”. I definitely think Marlborough looks more up our alley. Appreciate the tips! My favorite wines come from Marlborough – and now you have given me all the more reason to visit. Can’t wait! I’ve only been to New Zealand once and it was on a high school trip. I need to go back now that I can have wine! Ah, New Zealand!! My dream country! I am absolutely jealous of you now, especially with the lovely photos you put up 😉 You bet that I will take note of this area when I get there! Thanks Aileen! I hope you get to live out that dream sometime soon. So beautiful…the wine is the best – so crisp! Great tip about taking a bike around to the cellar doors. We will definitely go that route when we get there. I absolutely love wine touring and doing it on a bike is even better! Yeah its a great idea, you just have to try not to drink too much or the ride will be very interesting! I’d love to visit the wineries (I think the name Bubbly Grape Wine Tours is so cute!). I’d also love to visit the Queen Charlotte track, the views look amazing. It is a really great name for a wine tour company! Water, boat, wine. Yes yes yes! Awesome stuff.